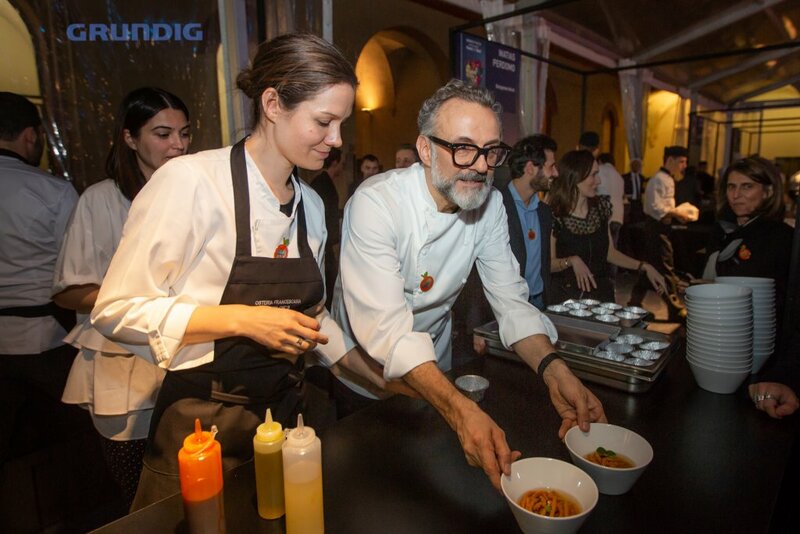 Grundig appoints a familiar face as brand ambassador: Massimo Bottura. At EuroCucina this year, Grundig not only presented a host of super-smart kitchen products and innovations but a new brand ambassador too. Italian star chef Massimo Bottura was selected as the brand’s official ambassador and will now work alongside Grundig to develop a range of next-level home appliances. The distinguished chef, referred by the New York Times as “one of the most influential creative geniuses“, will draw on his vast knowledge of gastronomy and art to help design a new line of brand products that will debut later this year. “I am looking forward to working with Grundig to develop new ideas, projects and products that help us make our homes and even the whole world a better place,” said Bottura. This exciting new appointment opens the door for greater cooperation between the two natural partners in the future. In his new role as Grundig’s official brand ambassador, Bottura will work even more closely with the company he already has an established relationship with. Our Respect Food initiative already supports the chef’s Food for Soul project. It aims to help raise awareness of the global food waste problem through communal kitchens known as Refetorrios. 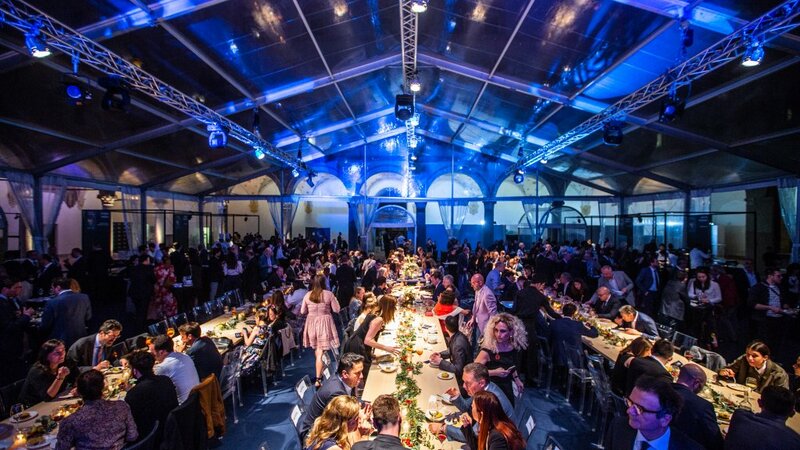 The news was announced at Respect Food Night, held during Milan Design Week in the Castello Sforzesco in Milan. The VIP event helped raise both funds and awareness for Food for Soul, the project that aims to fight the global problem of food waste. The night was a true spectacle, boasting 13 Michelin starred chefs in total, who performed live cooking sessions at 6 separate cooking islands during the event. These refrigerators have special compartments with an adjustable temperature range that allows food to stay fresh for three times longer than conventional fridges. Found in selected Grundig ovens, Fast & Healthy Technology dehydrates foods using a combination of both microwave and conventional cooking. Grundig’s new Recycled PET tub for washing machines, a plastic tub made of recycled plastic bottles, is designed to save energy by reducing the production of plastic bottles. The new collaborations and the technologies planned are lofty goals, yet if anyone’s in perfect position to accomplish it – it’s the combination of Grundig and Massimo Bottura.